Phase 2 Dulles Corridor Metrorail Project crews are continuing road widening, lane shifting, utility work, excavation and other construction activities for the Metrorail Silver Line, Phase 2. 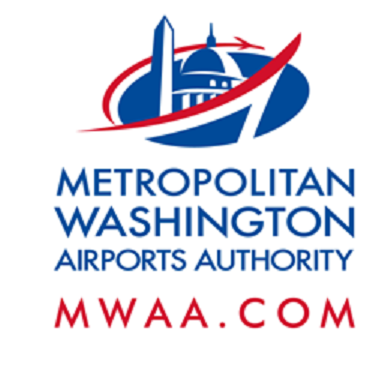 Lane, shoulder, road and ramp closures will occur along the Dulles Toll Road (DTR), Dulles International Airport Access Highway (DIAAH), Dulles Greenway, Sunrise Valley Drive, Air Freight Lane, Autopilot Drive, Aviation Drive, Cargo Drive, Materials Road, Package Court and Rudder Road during the week of Oct. 23 - Oct. 29. On or about Friday, Oct. 28, at 10 p.m. and continuing until Saturday, Oct. 29, at 8 a.m., and from Saturday, Oct. 29, at 10 p.m. and continuing until Sunday, Oct. 30, at 8 a.m., the eastbound Dulles Greenway will be detoured to Exit 8A (Old Ox Road east/Route 606). Follow detour signs along eastbound Old Ox Road and Route 28 south to Dulles International Airport or the Dulles Toll Road (DTR). Police will be present. On or about Friday, Oct. 28, at 11 p.m. and continuing until Saturday, Oct. 29, at 7 a.m., Aviation Drive eastbound and westbound will be closed along the transition to Cargo Drive. Cargo Drive northbound and southbound will be closed from just north of Copilot Way, continuing along the transition to Aviation Drive. Follow detour. All airport and tenant facilities will be accessible. Police will be present. When: Monday, Oct. 24 - Friday, Oct. 28, 10 a.m. to 3:30 p.m. and 9 p.m. to 5 a.m., and Saturday, Oct. 29, 10 a.m. to 3 p.m. When: Friday, Oct. 28, 9 p.m. to 5 a.m. When: Monday, Oct. 24 - Friday, Oct. 28, 10 a.m. to 3:30 p.m. and 9 p.m. to 5 a.m., Saturday, Oct. 29, 10 a.m. to 3 p.m. When: Monday, Oct. 24 - Friday, Oct. 28, 9:30 a.m. to 3 p.m. and 8 p.m. to 5 a.m., and Saturday, Oct. 29, 10 a.m. to 3 p.m. When: Monday, Oct. 24 - Friday, Oct. 28, 10 p.m. to 5 a.m. When: Monday, Oct. 24 - Friday, Oct. 28, 8:30 a.m. to 3 p.m. and 6 p.m. to 5 a.m., Saturday, Oct. 29, 5 a.m. to 2 p.m. When: Monday, Oct. 24 - Friday, Oct. 28, 7:30 a.m. to 2 p.m. and 7 p.m. to 5 a.m., and Saturday, Oct. 29, 5 a.m. to 2 p.m. When: Monday, Oct. 24 - Friday, Oct. 28, 7:30 a.m. to 2 p.m. and 6 p.m. to 5 a.m., Saturday, Oct. 29, 5 a.m. to 2 p.m. When: Monday, Oct. 24 - Friday, Oct. 28, 7:30 a.m. to 2 p.m. and 7 p.m. to 5 a.m., Saturday, Oct. 29, 5 a.m. to 2 p.m. When: Monday, Oct. 24, 1 a.m. to 2 p.m. When: Monday, Oct. 24 - Friday, Oct. 28, 9 p.m. to 5 a.m. When: Monday, Oct. 24 - Friday, Oct. 28, 6 p.m. to 5 a.m. When: Monday, Oct. 24 - Saturday, Oct. 29, 9 a.m. to 2 p.m. When: Friday, Oct. 28, 11 p.m. - Saturday, Oct. 29, 7 a.m. When: Monday, Oct. 24 - Wednesday, Oct. 26, 10 a.m. to 8 p.m. When: Monday, Oct. 24 - Saturday, Oct. 29, 10 a.m. to 8 p.m. When: Monday, Oct. 24 - Saturday, Oct. 29, 8 p.m. to 5 a.m. When: Friday, Oct. 28 at 10 p.m. - Saturday, Oct. 29 at 8 a.m., and Saturday, Oct. 29 at 10 p.m. - Sunday, Oct. 30 at 8 a.m. When: Monday, Oct. 24 - Friday, Oct. 28, 6 a.m. to 3 p.m. and 8 p.m. to 6 a.m., and Saturday, Oct. 29, 6 a.m. to 6 p.m. When: Wednesday, Oct. 26 - Friday, Oct. 28, 6 a.m. to 3 p.m. When: Monday, Oct. 24 - Thursday, Oct. 28, 8:30 a.m. to 3:30 p.m., and Friday, Oct. 29, 8:30 a.m. to 2 p.m.